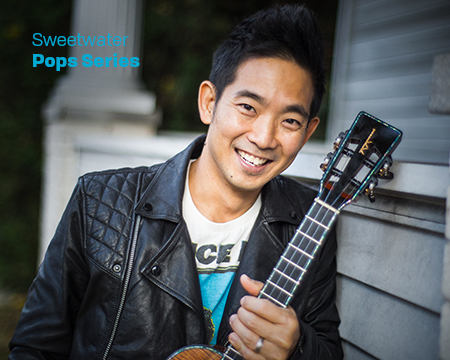 January 26, 2019 Sweetwater Pops Series performance of Wynonna In Concert has been canceled and replaced with ukulele extraordinaire Jake Shimabukuro. A favorite of local audiences, Shimabukuro has appeared several times at Fort Wayne’s C2G Music Hall and most recently with the Philharmonic at the Embassy Theatre in January 2016. Heralded as a “hero” by Rolling Stone, no other individual has propelled the popularity of the ukulele more than Shimabukuro. Spanning freely across the multiple genres such as jazz, funk, folk, and classical, Shimabukuro has taken the four-string instrument to places not previously imagined. His appearance with the Philharmonic during the 2015-16 Season was the breakout hit of the year with adoring fans and new patrons clamoring for tickets. It was one of the best selling Pops Series concerts of the Season. Ticket holders to Wynonna In Concert may contact the Fort Wayne Philharmonic box office at tickets@fwphil.org or call 260.481.0777 by October 8, 2018 to exchange, credit or refund their purchases. Philharmonic subscribers may still exchange or credit their tickets after the deadline in accordance with their subscriber benefit.